Lenovo claims that its ThinkPad X1 Carbon is the world's lightest 14-inch Ultrabook, with a weight of just under 3 pounds. It's an easy claim to make, though, because the company doesn't have much competition in that size. So far, PC makers have put most of their Ultrabook efforts into 11-inch and 13-inch models--the same sizes as Apple's MacBook Air. Asus hasn't gone any larger, and Samsung's only 14-inch Ultrabook, the Series 5, has a bulk-inducing DVD drive. Acer's Aspire M3 Ultrabook with a 15.6-inch display, but the company doesn't offer anything comparable in size to Lenovo's new ThinkPad X1. HP has shown some interest in 14-inch Ultrabooks with the recent Envy 4 and Envy Sleekbook. But these laptops aim for low prices at the expense of bulk, each weighing nearly 4 pounds. The company's previous 14-inch effort, the Envy 14 Spectre, also weighs about 4 pounds. Toshiba's Satellite U840, which has not launched stateside, weighs about 3.8 pounds and aims for the low-budget market as well. So in the race for lightest 14-inch laptop, Lenovo is practically on its own. According to some reports, Lenovo also claims to be the thinnest Ultrabook for its screen size, measuring 0.71 inches thick. The company doesn't make that claim in its press release, possibly because Fujitsu's unreleased Lifebook U722 measures just 0.63 inches thick. Lenovo hasn't announced a price for the ThinkPad X1 Carbon, which launches in June, but it's not likely to come cheap. 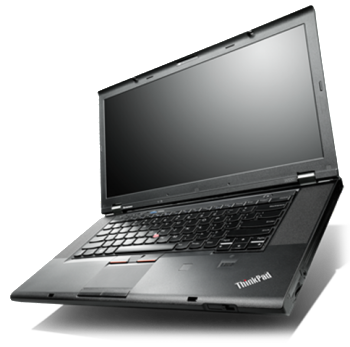 In addition to its slim figure, the X1 has a carbon fiber chassis, the latest Intel Ivy Bridge processor, a backlit keyboard and a 1600-by-900 resolution display. (There's no word yet on RAM, storage or battery life.) If cheaper 14-inch Ultrabooks like those from HP and Toshiba prove popular, Lenovo may not see any premium competition for a while.